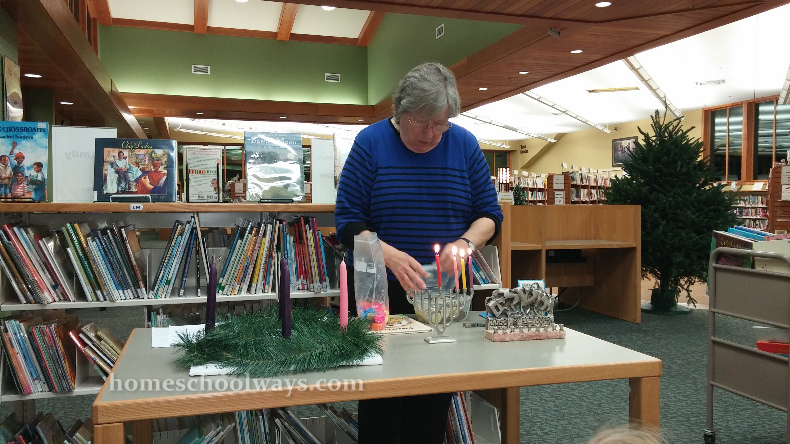 At our local library, Anna Porter Public Library in Gatlinburg, about three weeks ago, we participated in a workshop explaining the three main holidays celebrated in December: Advent (Christmas), Hanukkah, and Kwanzaa. This post should have been written about three weeks ago, but such is life. A homeschooling blogger can only do so much through the holiday season.